Join us at our Urban Wine Bar, The Enoteca (112 US Hwy 281 Marble Falls, TX 78654) for the only exclusively wood-fired oven operated restaurant in Marble Falls. 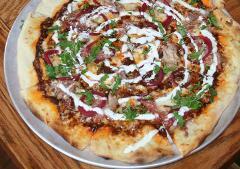 Enjoy appetizers, seafood, steak and pizzas cooking in a wood-fired oven! 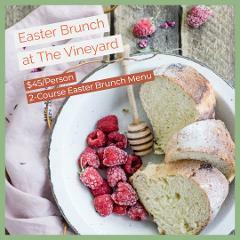 Easter Brunch at The Vineyard $45/Adult: $15/Child Join us for our annual Easter Brunch. 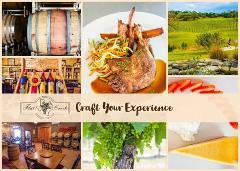 Indulge in the ultimate food and wine experience! You'll begin with a sampling of three of our signature wines to taste. 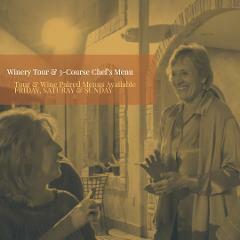 Following the tasting, you'll be treated to the Chef's Wine Paired Menu. 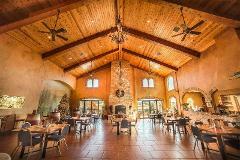 End your visit with a winery tour! 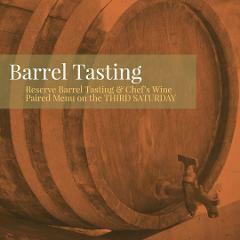 On the THIRD SATURDAY of each month, learn the power of oak aging in the winemaking process. Taste wine directly from the barrel to learn why oak aging isn't just about flavor, it's about a wine's ability to mature over time.